by Nate Wood, Hampton Physical Therapist – Seabrook NH Clinic. Have you ever woken up feeling extra sore a few days after a strenuous workout, all-day hike, or playing tennis for the first time in years? Sometimes that ‘charley horse’ or muscle knot stays for weeks or months and time just isn’t getting rid of it. Well, what is that ‘charley horse’ or muscle knot and how do you get relief? To examine this we must look at the human body as the giant mechanical puzzle that it is. In a puzzle, every piece is essential in completing the whole. The human body puzzle is composed of bone, muscle, nerve, and liquid elements. In this write-up we will focus on muscle. Muscle makes up 36 to 42% of the body’s weight. 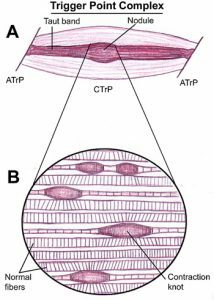 Muscle consists of muscle cells known as fibers bundled together surrounded by connective tissue. Each fiber contains smaller fibers with small chain like structures connected end to end. In order for muscle to work, all muscle in our bodies must contract and relax. Well inside these small chain like fibers is where all muscle contracts and relaxes. Now we go back to our original question, What is that nagging ‘charley horse’ or muscle knot? 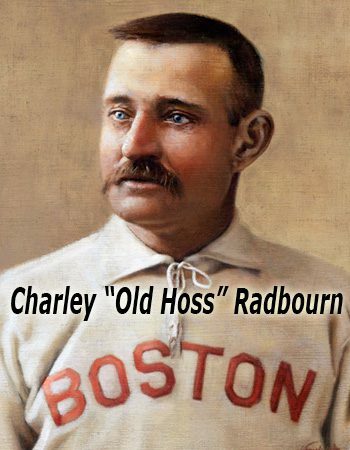 Well if you are a trivia person, you may know that a muscle knot or cramp became known as a charley horse back in the 1880’s when there was a famous baseball pitcher named Charley “Old Hoss” Radbourn who suffered from muscle cramps during games. Of course an alternative theory is that a lame work horse, Charley, who limped around the baseball park doing various jobs, and any teammate who became injured limping around became known as ‘charley horse’. This explanation does not answer our question either. So what are those muscle knots? If the muscle knot seems to linger for a period of time, it is likely what we, physical therapists, call a trigger point. Trigger points are defined as hyper-irritable areas associated within a taut band of muscle that are painful upon compression, contraction, or stretching of the muscle and often refer pain more distant to the location of the taut band (see reference). As I eluded to earlier, all muscles contract and relax and they do so by way of chemically charging and discharging the fibers with different body chemicals. 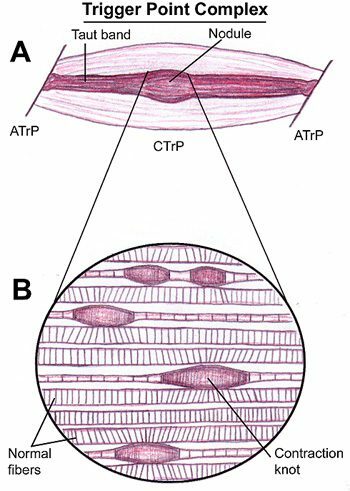 One theory states that trigger points form from excessive release of a chemical called acetylcholine, which produces a sustained depolarization of muscle fibers, leading to a sustained contraction of the muscle fibers. When there are numerous bands of thickened contracted areas, the surrounding fibers are overstretched thin. When you try to strengthen, or simply use, these affected trigger point muscles for activity they do not perform because many fibers are already locked in contracted phase and the other fibers are strained and weak. Trigger points have both the ability to have latent and active stages. Those latent trigger points are those muscle knots that are often not noticed unless pressed upon directly, and will go unnoticed at first, and possibly for years. Even though a latent trigger point rarely causes a person to complain of pain, they often can restrict or distort normal movement patterns, and cause stiffness and weakness. Additionally, there are factors that can cause a trigger point to transition from latent to active. An active trigger point is the “ouch” trigger point. This active trigger point is a painful phase that produces unrelenting debilitating symptoms that include referral pain patterns in other regions with dull ache, deep, pressing pain, burning or a sensation of numbness and fatigue. Most trigger point symptoms reported by an individual are from active trigger points and often those dense taut bands within the muscle can compress and entrap many kinds of nerves leading to the complex array of symptoms. When the symptomatic trigger points are left untreated it will allow surrounding muscles to take up the slack, possibly causing more strain and overlapping pain patterns. So what is referred pain from a trigger point? Trigger points can refer pain in the local area or in other areas, the most common patterns have been well documented and diagrammed. Approximately 74% of trigger points are not located in the same place a person feels symptoms, so by knowing and understanding referral pain patterns we, physical therapists, can find the main source of your pain. For example, have you ever felt a squeezing pressure headache around the temple region after sitting slouched at your computer trying to get all that work done by a deadline? Well that may possibly be a trigger point in your upper trapezius muscle (marked in the diagram, with an X referring pain to the red dotted area). So what are the ways in which trigger points form? They can form from a variety of different ways such as mechanical overload, muscle inefficiency, repetitive usage resulting in fatigue, trauma (physical and psychological), inflammation, nutritional or metabolic perpetuating factors. Some common mechanisms for trigger point origin within the clinic is from patients who have repetitive overuse injuries such as using the same body part in the same way hundreds of times on a daily basis with activities such as typing/mousing, hand held electronics, gardening, home improvement projects, and certain work environments or poor work ergonomics. Other common mechanisms of injury we see in the clinic are sustained loading, as with that shoveling of snow, or heavy lifting, carrying babies, briefcases, or boxes, wearing body armor, and some from caregivers or healthcare workers lifting bedridden patients. Other various ways trigger points may form are from muscle clenching and tensing due to mental or emotional stress, a direct injury such as a blow, strain, break, twist or tear from car accidents, sports injuries, or from falls, and even from inactivity such as prolonged sitting or bed rest. Other less common causes of trigger points are from nutritional and metabolic factors, and although minimal studies have shown the exact effect of these factors on trigger points, there is a wealth of expert clinical experience suggesting that low normal and subnormal levels of vitamins and minerals act as strong perpetuating factors for trigger points. Additionally, there are specific comorbidities such as hypothyroidism, iron insufficiency, statin drugs, vitamin D insufficiency and vitamin B12 insufficiency that may link muscle pain as a possible secondary symptom. One of the most common causes for trigger point discomfort is from postural stress or poor posture. If you ask anyone who has had PT for related postural issues, they will likely tell you that their physical therapist often repeatedly uttered these three words to them: “posture, posture, posture”. 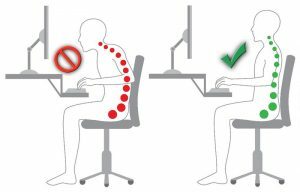 One example of a posture domino effect could be if a person has repeated bad posture while typing on their laptop either for school, work, or leisure. This poor posture may lead to a forward head, bent neck position, this puts strain on the small network of muscles called the suboccipitals that connect and stabilize the head to the neck or cervical spine. This postural strain may cause trigger points leading to active trigger points, causing radiating somatic pain, muscle atrophy, fibrosis or tissue hardening, and decreased tensile strength. Additionally, this muscle group has a high density of proprioceptors, so muscle atrophy may lead to loss of proprioceptive balance. If symptoms are untreated, this may lead to chronic neck pain and headaches. Therefore, postural training is paramount in rectifying and preventing trigger points. So, what treatments can a physical therapist provide for you to alleviate both your trigger points and your related symptoms? Since a trigger point is a contraction mechanism of muscle locked in shortened position, treatment involves unlocking the contraction, and your physical therapist can do this in a variety of ways. The original way is through trigger point release which involves using a squeeze grip or a tool where direct pressure on the trigger point for 30-120 seconds according to research can release and soften a nodule, once released the muscle tissue needs to be moved throughout its full range of motion, which is why your physical therapist will give you stretching and range of motion, as well as postural retraining exercises. Postural retraining of surrounding muscles can alleviate the load upon the affected muscle group and provide stabilizing strength in the appropriate areas to both alleviate and prevent discomfort. 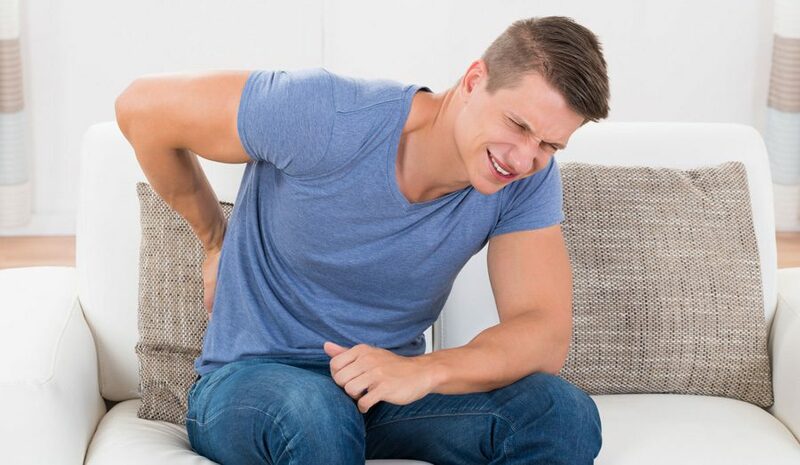 Other common effective treatment techniques practiced by your physical therapist are instrument assisted soft tissue mobilizations which are done with a tool. Graston Technique™ or FRAMS utilizes a metal tool to allow for deep tissue mobilization. Dry Needling is another highly effective treatment for trigger point relief which utilizes needles (acupuncture needles) to release a trigger point. All of these techniques have been shown both clinically and through research to be very effective and long lasting results for individuals suffering from Trigger points. So, if you’ve started gardening, recently helped a friend move by lifting and loading boxes, or plan to head out for a game of golf, you may find yourself with a charley horse that just won’t go away. Don’t just sit and suffer through the pain. Call us at Hampton Physical Therapy, we can help you! Trigger Point Therapy Headache & Migraine Book. N.p., n.d. Web. 04 Nov. 2015. “National Association of Myofascial Trigger Point Therapists | Myofascial Therapy | What Is It?” National Association of Myofascial Trigger Point Therapists | Myofascial Therapy | What Is It? N.p., n.d. Web. 04 Nov. 2015. Kisner, Carolyn, and Lynn Allen. Colby. Therapeutic Exercise: Foundations and Techniques. Philadelphia: F.A. Davis, 2012. Print. “Referred Pain.” Referred Pain. N.p., n.d. Web. 04 Nov. 2015. “Trigger Points and Myofascial Pain.” PainSciencecom RSS. N.p., n.d. Web. 04 Nov. 2015. 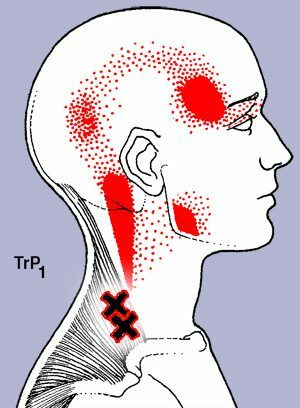 “Information about Trigger Points and Their Treatment.” Pain Education. N.p., n.d. Web. 04 Nov. 2015.